Each year of being married brings so many new joys and challenges that it's important to stop and reflect. Anniversary milestones give us that opportunity. Whether it's an intimate dinner for two or a big family party, there are wedding anniversary gifts to suit the occasion. Discover beautiful, loving gifts for your spouse, gifts for your parents and even gifts for grandparents. They say it takes a community to raise a child, but it takes a family to support a marriage. Marriages are rarely successful in a bubble. From single prints to collages, from canvas to glass, from photos to poetry - the options are as endless as your love. Your love is new and so is this whole wedding anniversary gifts thing, so be sure to take some time to think through what might make the best impact for your special spouse. While ideas for one year anniversary gifts simply must include flowers or chocolates, your loved one will adore a personalised photo print. Your love grows stronger each day and thoughts of starting your own family are becoming more than just words - it's starting to become very real. It's OK. It doesn't mean you have to put away your party shoes just yet. Take a moment to pause to enjoy each other's company and relish in the freedom of life before kids. Anniversary presents ought to mirror the phase of your life you're in. That's why photos for your home or office are the ideal gift of love, with memories that live on and on. The 4th year is not the most significant milestone in the anniversary world, but it certainly doesn't mean it should be forgotten. Just because your anniversary (e.g. the 4th, 7th, 13th) is not a traditionally massive milestone, doesn't mean it should be swept under the rug. There's no need to lose sight on what's important with this awesome collection of anniversary gifts for her and for him. Celebrate your 5 year milestone in style with a gift fit for a king or queen; a gift they'll treasure for years to come. If your partner says your presence is the best present, it may very well be hyperbole. Rather than cluttering the home you share together with more useless 'stuff', express your love in a unique way with some wall art that will become one of their most treasured possessions. Five years together is nothing to sniff at, so a gift that is personalised - something that is quintessentially them - is the way to go. In fact, wall art may even become your 'thing'. You know, a special give-giving tradition to honour all those anniversary milestones. Consider a thoughtful quote on a colourful single canvas. It might be a love poem or it might be an arty visual tally of all the days, months, minutes and seconds you've been together. You might even like to combine a love quote with some couples photos. 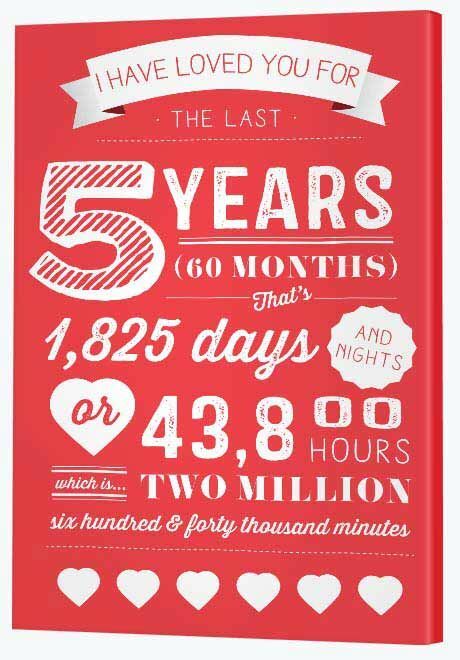 An even more creative idea is to create a collage featuring photos - one from each of the five years - of you sharing a special moment together. Now that's a tradition worth keeping. After 10 years, you well and truly know each other. Keep the romance alive with gifts that inspire fondness and fun. Step outside the gift box with a 10th wedding anniversary gift that will bring you both happiness. Get those digital photos off the camera and off the smart phone and transform them into art. Done lots of travelling? 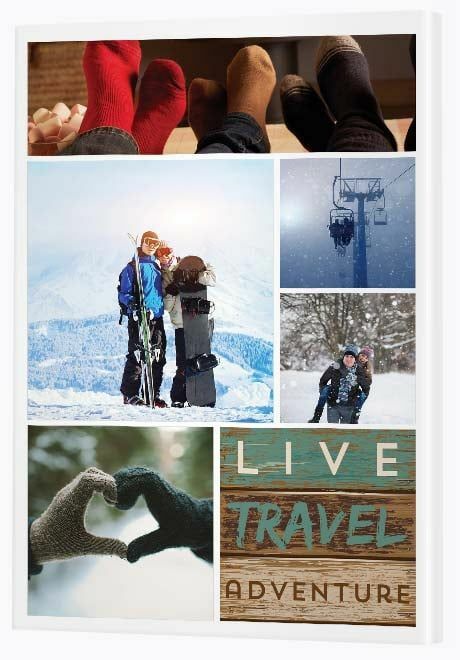 Create a collage using our travel themed canvas or design your own, filling the frames with whatever you like - travel quotes, love messages or simply photo after photo after photo. Share a hobby together? 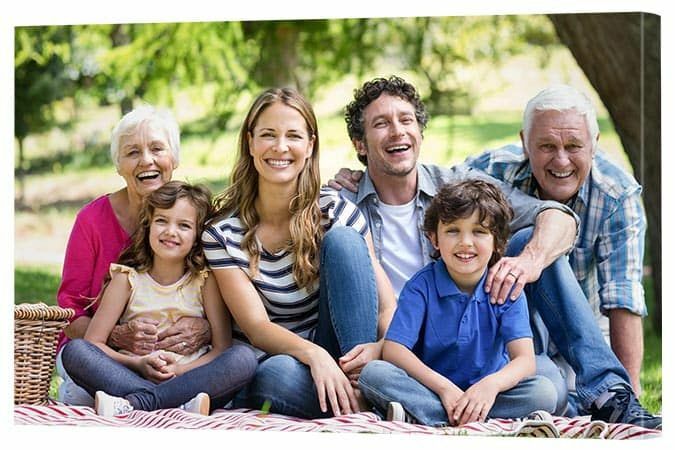 Whether it's golf, cycling, bushwalking or even playing bridge, honour the time you spend together by printing a photo series of those fun times. Fancy a merry dare? Hire a photographer to take photos of you and your spouse out and about having fun in your favourite place. It doesn't matter where - the beach, the park, your garden. 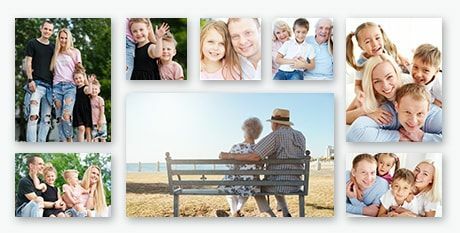 Once you receive the photos, sit together at the computer and choose which photos you'd like to include in a collage or wall display. Print to canvas and, voila, the fun of love and the love of fun captured. Want to make those 20 years count? After 20 years together, it's easy to get lackadaisical. It's easy to get comfortable and sometimes, if you're really unlucky, you even forget altogether! 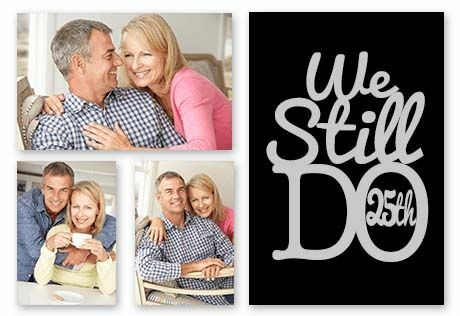 Make it count with 20th wedding anniversary gifts that show your spouse you truly care. 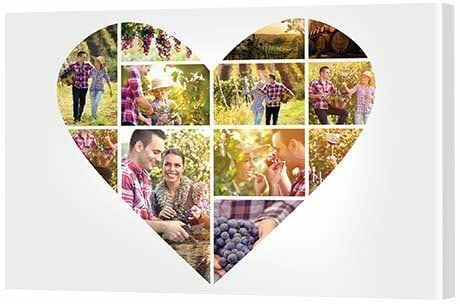 Express yourself with a wonderful wall display that honours your family life or treat your partner to something romantic like a heart collage or creative work of art. The wonderful thing about customised art is that its a work that's uniquely suited to an individual's sense of style, their personality and your budget. Get the silver wedding anniversary party started right with gifts for that special, lucky couple who are still, after 25 years, in love. A photo board at a big milestone party like this is a given, but imagine if that photo board was displayed as a quality collage or wall display that could be kept forever? Get the family together to pitch in to buy a stunning, stylish, large canvas, glass or steel print that will amaze and delight the wonderful couple. 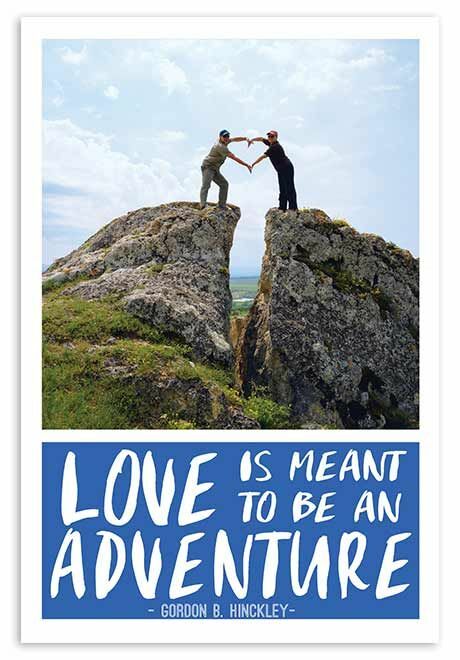 Embrace the pearl or choose your own adventure with 30th wedding anniversary gifts that match the wonder of love and commitment. 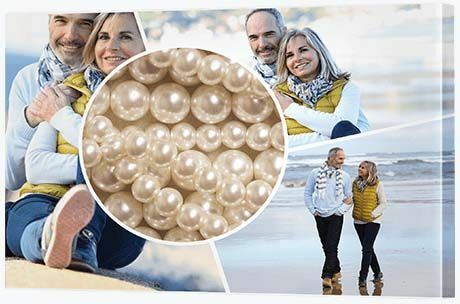 If she loves pearls, this is the perfect opportunity to gift her with something that incorporates this exquisite jewel of the sea - a creative photo display featuring pearls. It's a clever concept for the woman who has everything (including a string of pearls) and an ingenius idea for the man who can't afford everything (like a string of pearls!). The best thing about such thoughtful presents is they're not only a great party treat, they end up as memories that live on long past the gift-giving ritual has ended. Achieving 40 years together deserves the best of the best, so think beyond the canvas and instead consider glass and metal. 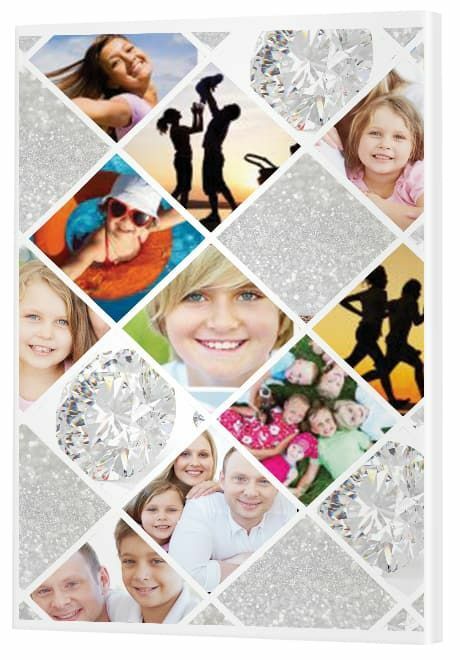 Give your photo gift a ruby glow by printing your favourite photo or photo series to acrylic glass or brushed aluminium. When shopping for ruby wedding anniversary gifts, anything red springs to mind. Rather than just a bunch of roses, gift a work of rose art. Celebrate this incredible 50 year milestone by remembering the years gone by. A golden wedding anniversary isn't just about marking 50 years, it's about reflecting on all those years this impressive couple has experienced together. Put family front and centre with a stunning wall display featuring photos of the couple together when they were young plus many more as they have got older. Diamonds might be a girl's best friend, but when it comes to 60 years together I think the man is just as deserving of such exquisite fanfare. A diamond wedding anniversary can be one the happy couple can enjoy together, with original photo gifts that truly commemorate 60 years together. Gifts like this are about people and there's no mistaking the fact that, after 60 years, these two people have touched the lives of many a friend and family member. 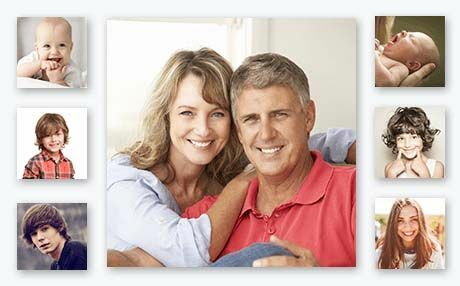 Honour the happy couple, their relationship with each other and their relationship with others, with a collage or wall display that features photos of that wonderful support network sharing time together. For an arty effect, find images or diamonds and intersperse them on one or across multiple frames. Alternatively, let the photos speak for themselves. You can also add even more pizzazz by using Canva to create a quote or a love poem within a diamond. After 60 years, this awe-inspiring couple no doubt have everything they need, so plates, jewels and knick knacks don't make the best gifts. Photo memories will hold a special place in their heart, something they can gaze upon every day with love and fondess of a life with meaning. Give your man a gift he won't stop talking about for years; something that honours that special bond only the two of you share. Finding the right kind of anniversary gifts for men can be an absolute nightmare. It feels odd to give flowers, it feels cheap to give chocolates and it feels thoughtless to buy booze. None of those ideas are necessarily bad ones, but they're pretty ho hum compared to what's possible in the land of personalised photo gifts. 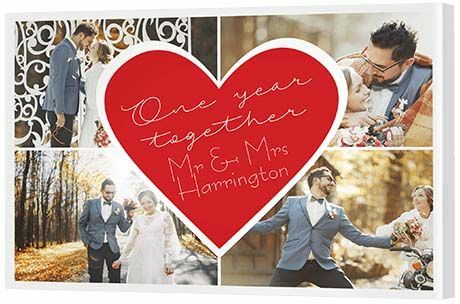 With over 40 different collage templates from which to choose - covering traditional, themed, modish and silhouette styles - you are sure to find something to suit your husband's unique personality. And that's just the tip of the iceberg. 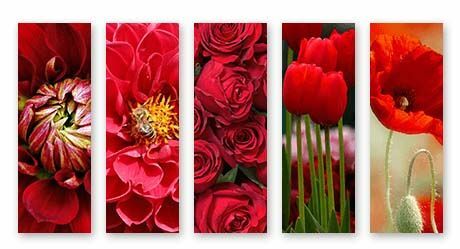 For something truly spectacular consider a smart split image print or classy wall display - all available in canvas, glass or metal materials. All you need to do, to make it a surprise at least, is to secretly uncover the whereabouts of all the digital photos. And if you want to take your personalised gift to the next level, your new best friend will be Canva, a tool that lets you create colourful quotes without the need for any graphic design skills whatsoever. So add your own special words to a photo collage or wall display and watch him as he tells you he's got something in his eye. Watch as she falls in love with you all over again, with a gift from the heart that only you can give. When it comes to anniversary gifts for women, the world is your oyster but the key here is to make the gift so special and so 'her' that it will keep you in the good books for the year ahead. 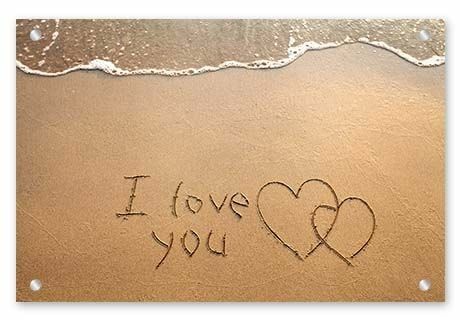 Say 'I love you' literally by drawing the words in sand, in ink or in the sky. Just be sure to take a photo. The idea is to photograph your special love note and print it to canvas, glass or metal. She'll love it - and you - forever and always.